Design Team member Yukari Yoshioka picked this summer shaker card by Shannon McComb. This card uses our Newton's Summer Vacation stamp set. 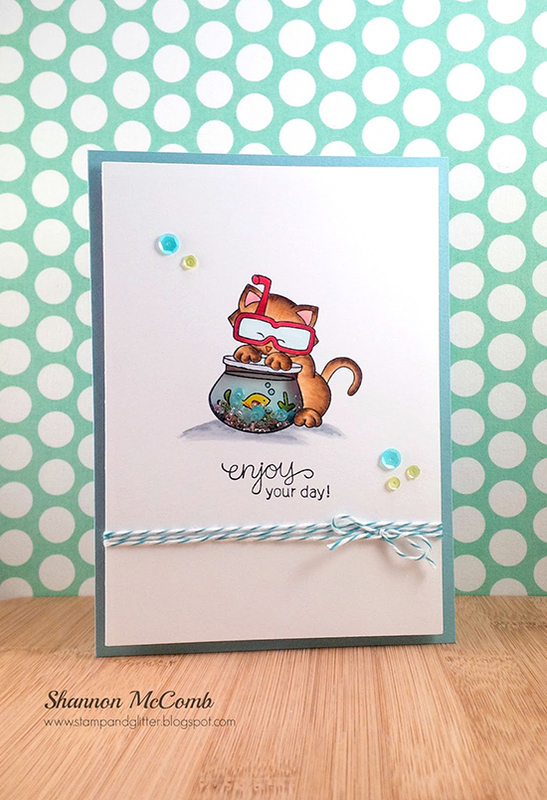 "I just love her fun coloring, CAS design and she turned the fish bowl into a shaker window, so fun!" 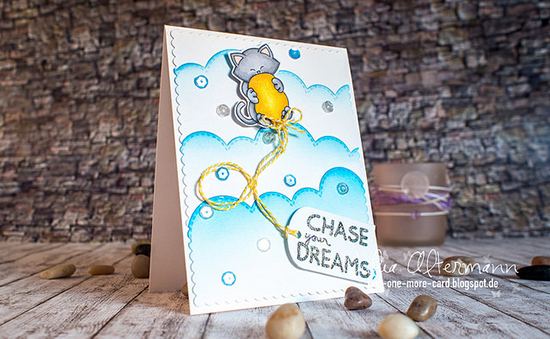 Design Team member Samantha Mann picked this dreamy kitty card by Julia Altermann. This card uses our Newton's Birthday Bash stamp set. "I LOVE the bold and the clouds and the sparkles!" If you'd like to be considered for a future feature, make sure we see your projects. Tag your posts with #newtonsnook in social media to make sure we see them! Check back tomorrow for more fun fan spotlights! Two of my fave people :) Love both fantastic cards. AWE those are both very Adorable creations!!!!!! More awesome projects! Congrats for being spotted! Both cards are amazing!!! Love the coloring!!! These are both darling and the coloring on both is wonderful!! WOW - both so very sweet and well done!!! 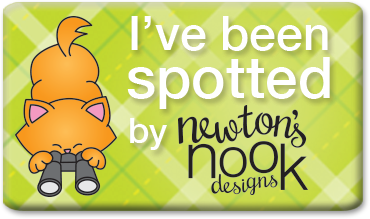 Both Samantha and Julia use Newton's Nook products in really great and clever ways!!! Awesome cards! !